Dover is home to two NASCAR cup races per year. The first stock car race took place at Dover International Speedway on July 6, 1969, which Richard Petty won. Harness racing operations at Dover Downs started in 1969 as well. A 5/8 mile horse race track, used during the winter months, is surrounded by a one-mile paved raceway. The Delaware General Assembly authorized slot machines at the three horse tracks in the state on May 31, 1994. Dover Downs Slots opened on December 29, 1995,4 and several expansions of the casino followed over the ensuing decades. Dupont Highway carries between four and six lanes through the Dover area. The US highway enters Dover from the town of Camden. It splits with U.S. 13 Alternate (Governors Avenue) to bypass Downtown Dover to the east along a commercial arterial. A number of big box stores and strip malls line the congested route north to State Street, where U.S. 13 Alternate returns from across Silver Lake. 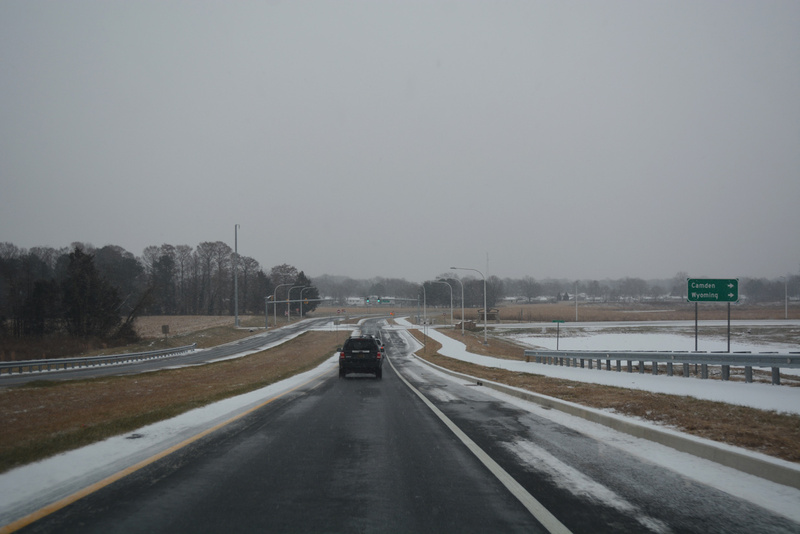 North from there, U.S. 13 passes between Delaware State University and Dover Downs to Dover Mall and the campus of Delaware Technical & Community College. The route remains suburban beyond the city line to the town of Cheswold. The opening of the SR 1 Turnpike (Korean War Veterans Memorial Highway) in 1993 shifted the bulk of through traffic away from U.S. 13 (Dupont Highway). 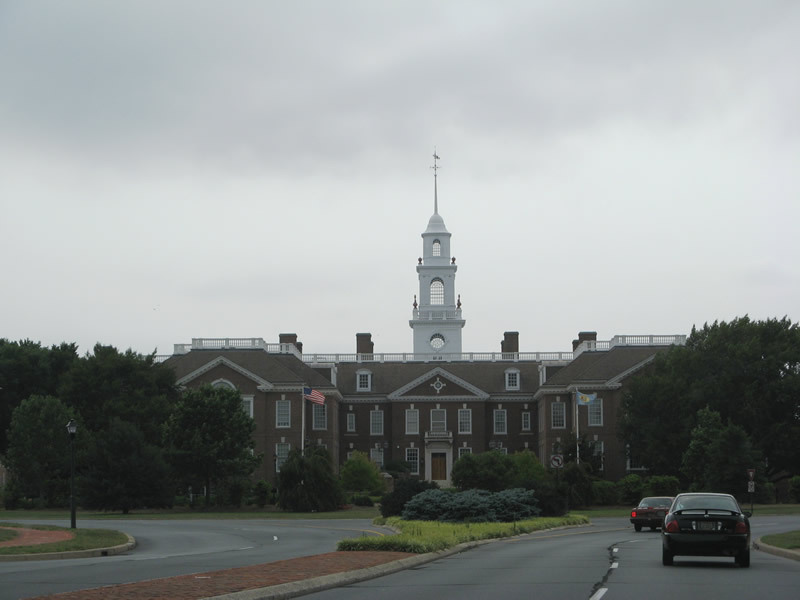 This was especially noticeable during the summer tourist season, where thousands head to the Delaware Beaches from points north. Area growth of Dover however continues to see heavy traffic along U.S. 13 as a commuter route. U.S. 113 was truncated south from Dover to Milford in 2004. The route formerly lined Bay Road southeast from U.S. 13 (Dupont Highway) to Dover Air Force Base and Frederica in southern Kent County. With Delaware 1 overlaying much of the route north from Milford by 1991, DelDOT petitioned AASHTO to drop the US highway from its concurrency. 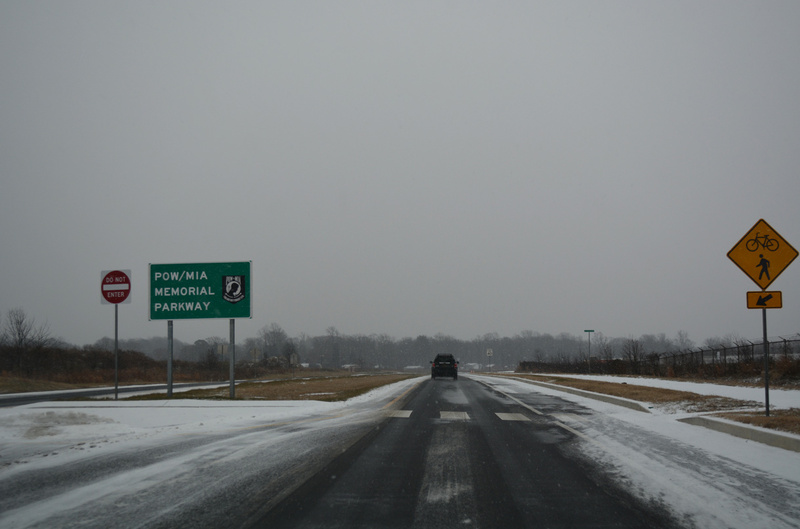 Construction of the SR 1 Turnpike displaced a portion of U.S. 113 (Bay Road) by Dover Air Force Base. 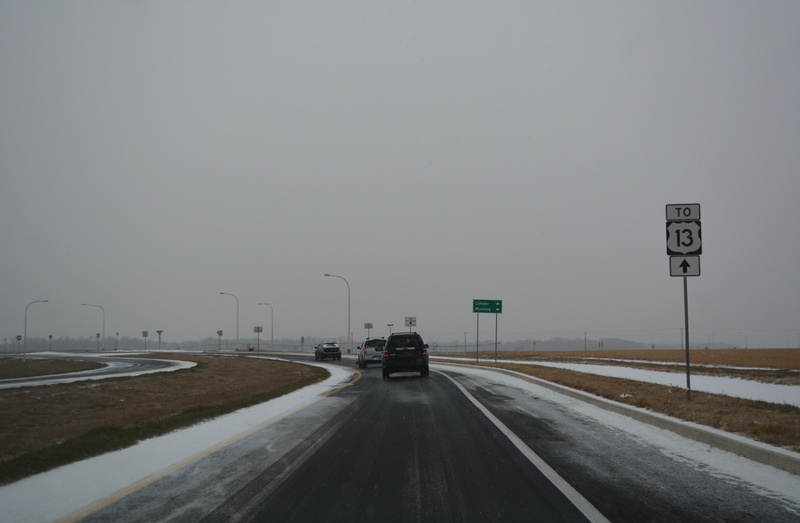 The toll road veers northeast from Bay Road at Delaware 10 (Lebanon Road), leaving the old alignment of U.S. 113 in tact northwest by Blue Hen Corporate Center. Bay Road ends at U.S. 13, just east of the state capitol as an unnumbered arterial. U.S. 13 Alternate follows the original alignment of U.S. 13 through Downtown Dover. Following Governors Avenue, the auxiliary route of U.S. 13 loops just west of Dupont Highway from the Rodney Village community north to Puncheon Road and the Dover city limits. 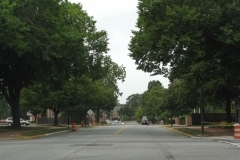 Governors Avenue comprises a three-lane boulevard north from there to Bayhealth Medical Center and Water Street near the state capitol. 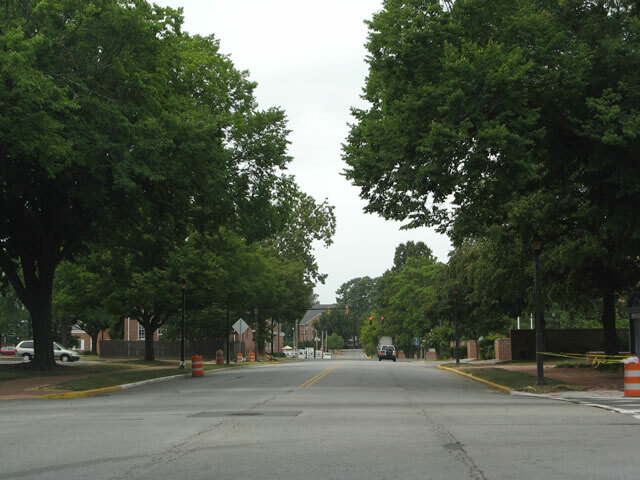 Governors Street narrows to two lanes through Downtown Dover and the residential street grid to the north. U.S. 13 Alternate shifts northeast onto Governors Boulevard to overtake North State Street across Silver Lake. 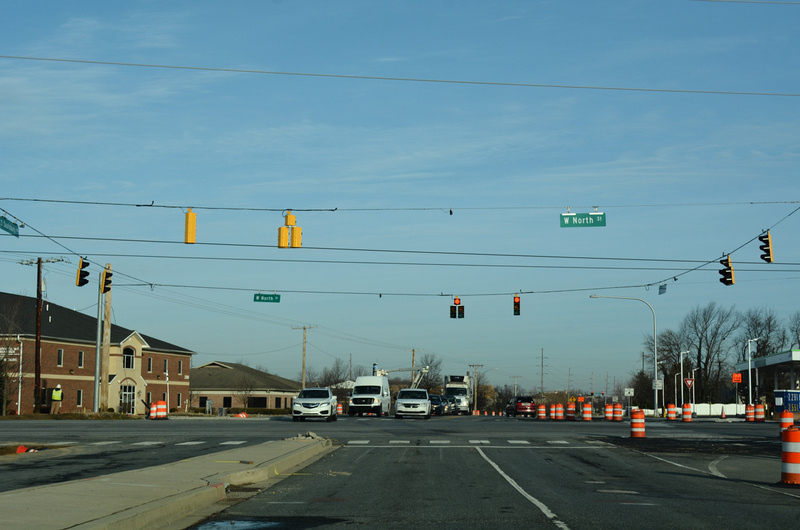 The route concludes at a commercialized intersection with U.S. 13 (Dupont Highway) across from Leipsic Road and Dover Downs. 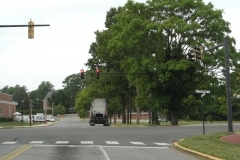 Decommissioned in 2004 when U.S. 113 was dropped north from Milford, U.S. 113 Alternate followed all of State Street north from Little Heaven to Downtown Dover and Governors Boulevard (U.S. 13 Alternate). The route represented an older alignment of U.S. 113, which later shifted to Bay Road and a concurrency with U.S. 13 (Dupont Highway) to North State Street. 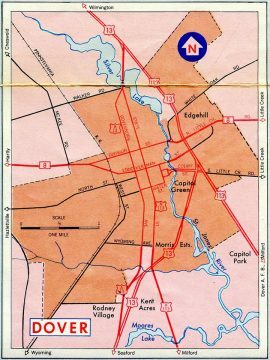 It was truncated south from Governors Boulevard in 1974 to instead overlap with U.S. 13 (Dupont Highway) northeast to the U.S. 113 terminus at Bay Road. Delaware 1 joins Dover with Milford and the Delaware Beaches as a nearly limited access expressway south from Dover Air Force Base to the St. Jones River. It was posted along side U.S. 113 by 1991. North from Dover AFB, Delaware 1 splits with Bay Road (old U.S. 113) to bypass Dover along the east side of the city on the tolled Korean War Veterans Memorial Highway. The toll road represents the dividing line between commercial and suburban areas along the U.S. 13 corridor to the west with agricultural areas east to Delaware 9. Originally touted as the U.S. 13 Relief Route, the SR 1 Turnpike offered immediate benefits to traffic along crowded Dupont Highway through the capital city. The Dover-Smyrna portion of the turnpike opened to traffic on December 21, 1993. An unnumbered extension of the turnpike system was constructed from Exit 97 and Bay Road west to U.S. 13 (Dupont Highway) near Governors Avenue in 2001. 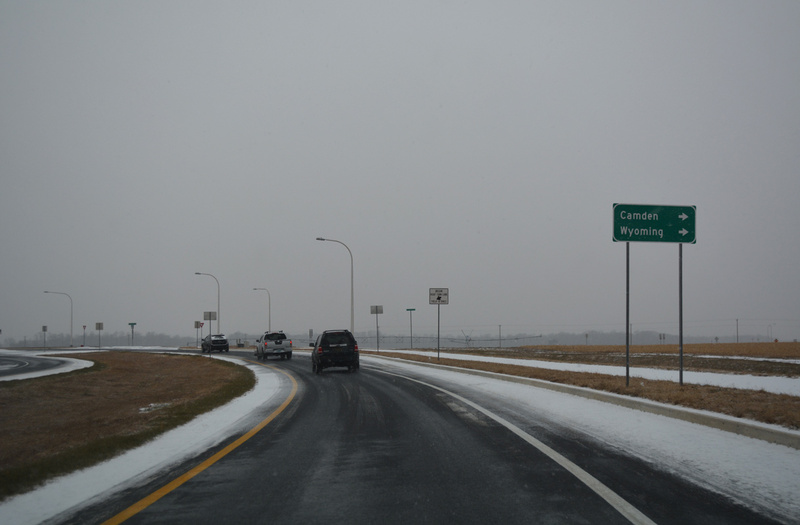 Named the Puncheon Run Connector, the freeway link provides connectivity for Camden and points south along U.S. 13 to Sussex County and Salisbury, Maryland. Delaware 8 bisects the city along a combination of Forrest Avenue, Division Street and Little Creek Road. 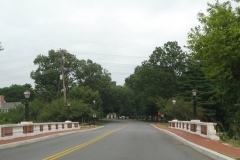 The state route travels east from rural Pearsons Corner to enter the city at Artis Drive. 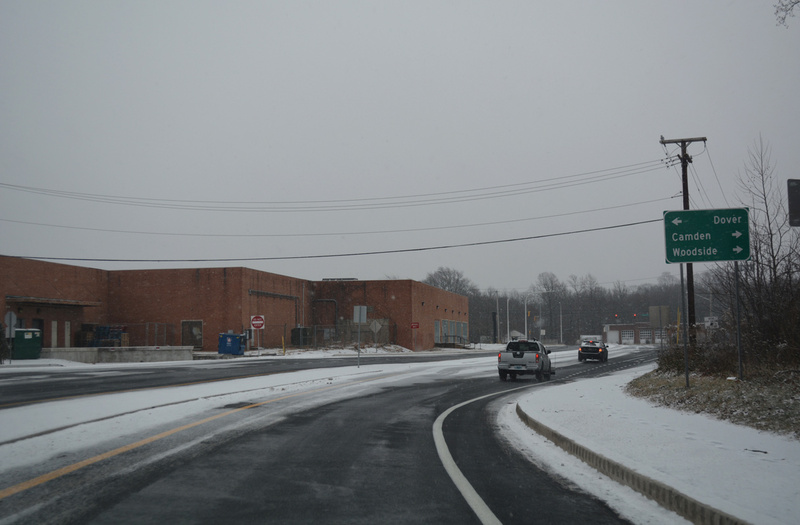 Continuing east by the 2014-completed Dover High School and suburban areas, SR 8 expands into a five-lane commercial arterial through to the split of Division and Forrest Streets. Division Street passes north of Downtown Dover. SR 8 uses Kings Highway East to cross the St. Jones River before resuming along Division Street to Willis Road. Little Creek Road extends the route by the last of the Dover subdivisions to a partial interchange with the SR 1 Turnpike and agricultural areas east to the town of Little Creek. Delaware 9 constitutes a scenic route along coastal areas of Kent County north from Delaware 1 (Bay Road) and Dover Air Force Base to Taylors Bridge in New Castle County. The rural route was substantially more traveled prior to the building of the SR 1 Turnpike, with beach traffic often using the highway as an alternative to crowded U.S. 13 (Dupont Highway). Today the route is lightly traveled through a mixture of farm land, wildlife refuges and the small towns of Little Creek and Leipsic. 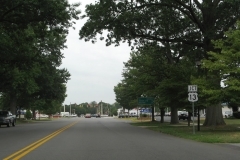 Delaware 10 stays south of the Dover city limits through the towns of Wyoming and Camden. The state route expands into a four-lane arterial east from U.S. 13 (Dupont Highway) to Delaware 1 and Bay Road at Dover Air Force base. An alternate route loops south along State Street (old U.S. 113 Alternate) to bypass Downtown Camden as well. Delaware 15 zigzags northward from Wyoming through the west side of Dover along a combination of local roads and arterials as part of its 57-mile route north from the Milford area to Summit Bridge. SR 15 follows Dundee Road north from SR 10 Alt to SR 10, and Moose Lodge Road through open farm land and along the west boundary of Wyoming. The route dog legs east along Southern Boulvard to Railroad Avenue and Wyoming Mill Road north through Wyoming. 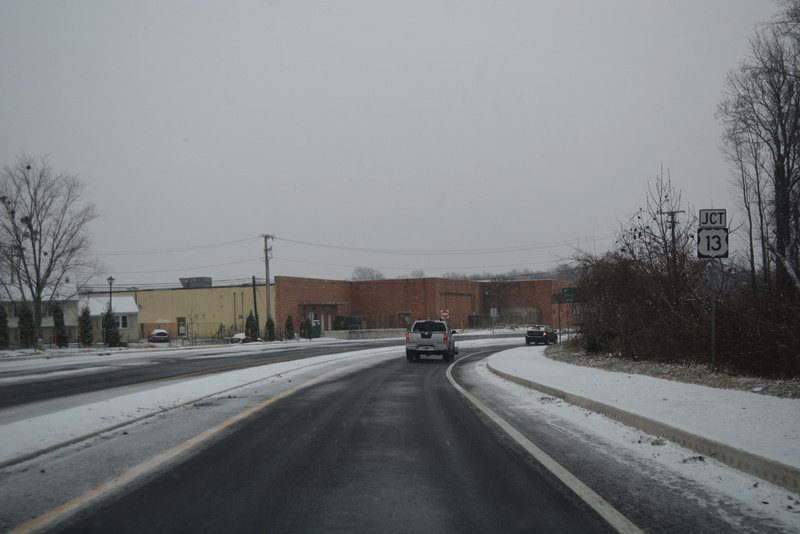 Wyoming Mill Road extends SR 15 north into southwest Dover. The 2017-completed POW/MIA Parkway ties into the state route along this stretch. 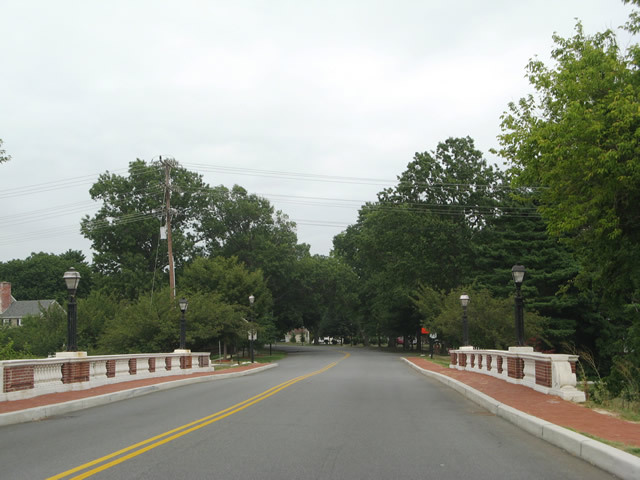 Built as part of the West Dover Connector, the boulevard system includes connections to U.S. 13 at Rodney Village and at the turn of Delaware 15 onto Saulsbury Road north from North Street east. Saulsbury Road heads north through industrial areas of Dover to become Mckee Road ahead of Scarborough Road. 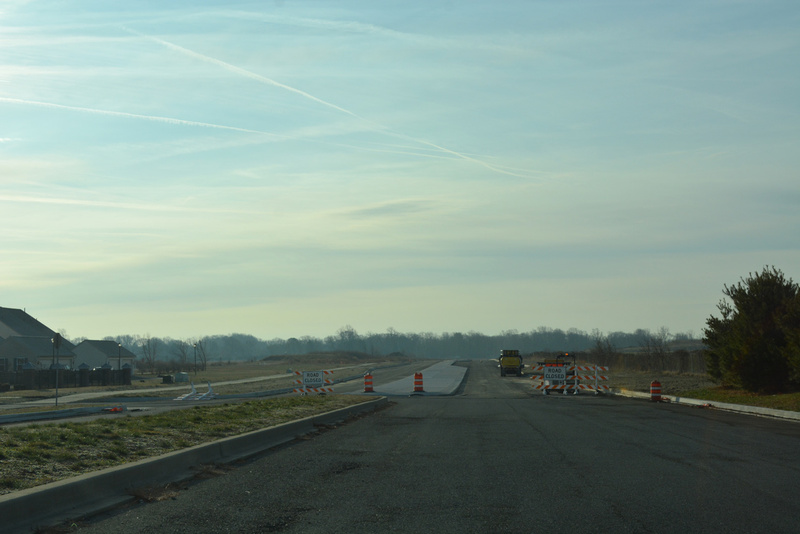 Scarborough Road was constructed as a belt route to connect west Dover with the SR 1 Turnpike at the interchange north of Dover Downs. 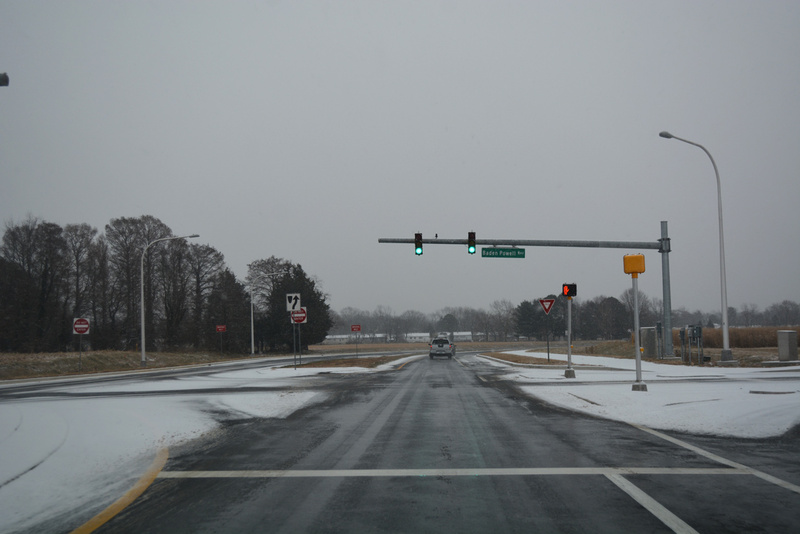 Delaware 15 was slightly realigned with the addition of Scarborough Road so that McKee Road met it at a T-intersection. McKee Road takes Delaware 15 northwest to Dennys Road, where the state route dog legs west to reach Kenton Road north. Kenton Road continues Delaware 15 to an overlap with Delaware 42 west to Seven Hickories. 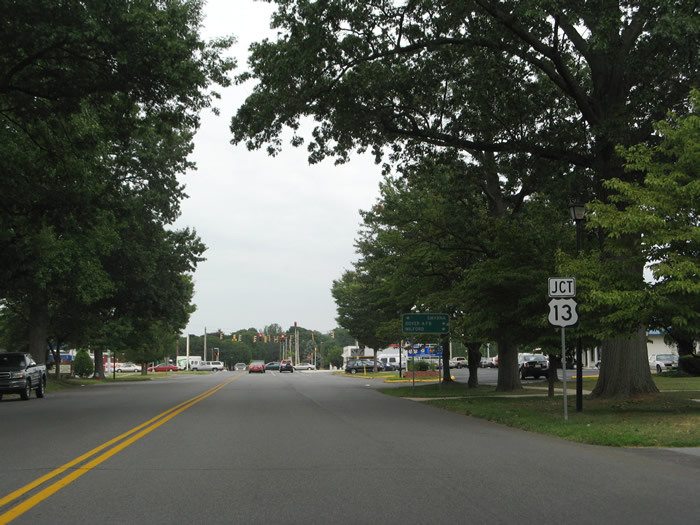 Prior to 1990, Delaware 15 ended at U.S. 13 (Dupont Highway) by the Canterbury community. 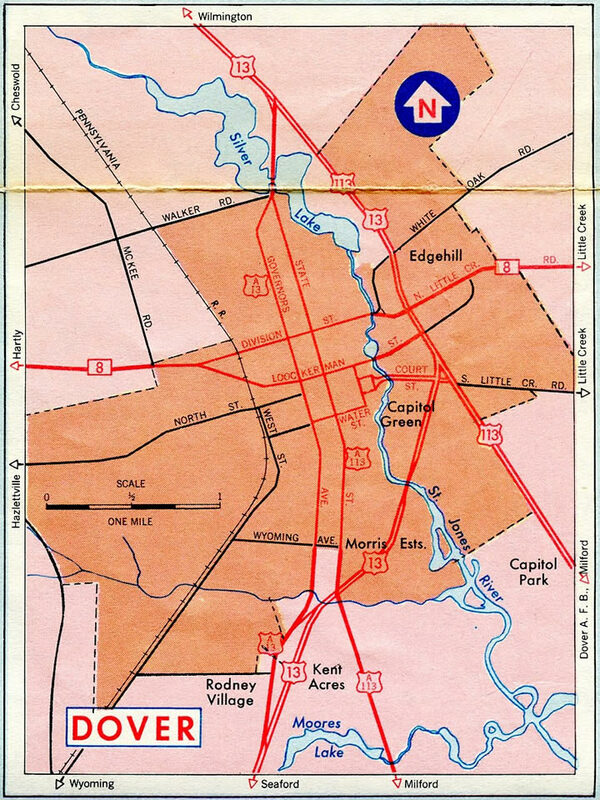 It was extended north to Middletown, then ultimately Summit Bridge by 1993. Legislative Avenue north at Duke of York Street. 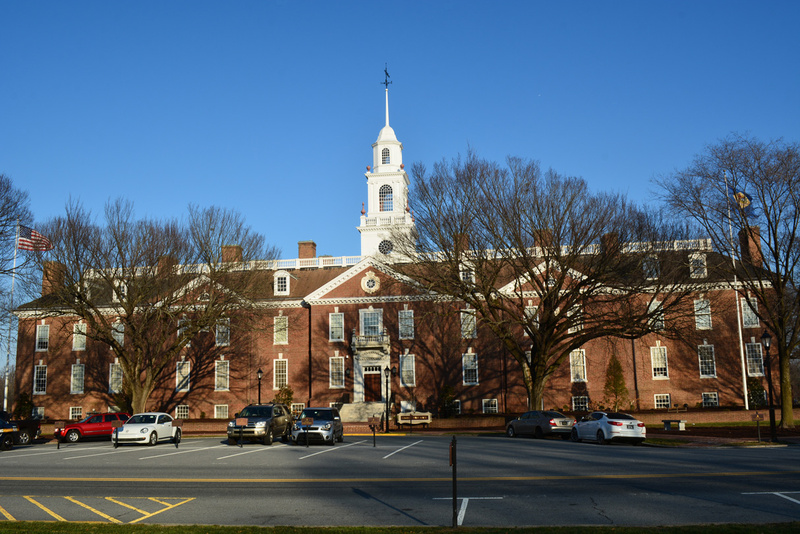 Parking spaces surrounding Legislative Hall are reserved for government officials from around the state. Photo taken 08/05/07. 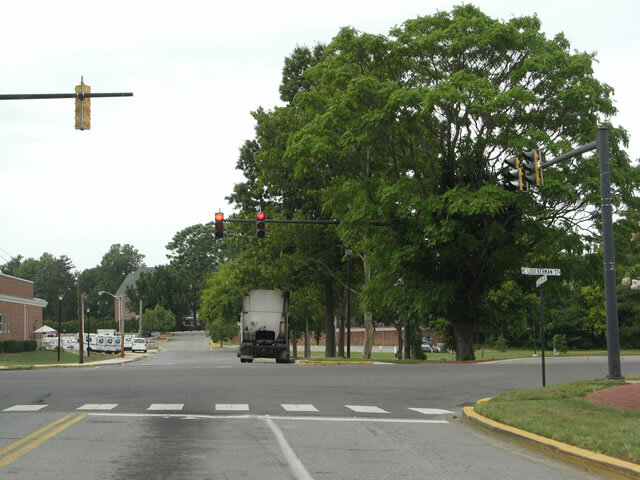 Older style mast-arm traffic light assemblies along Legislative Avenue north at Loockerman Street. Loockerman Street provides a main east-west street through Downtown Dover, as it links the city center with U.S. 13 (Dupont Highway) to the east and Delaware 8 via Forest Street to the west. Photo taken 08/05/07. Crossing the St. Jones River on Loockerman Street eastbound. The St. Jones River flows south from Silver Lake through the city of Dover. Photo taken 08/05/07. 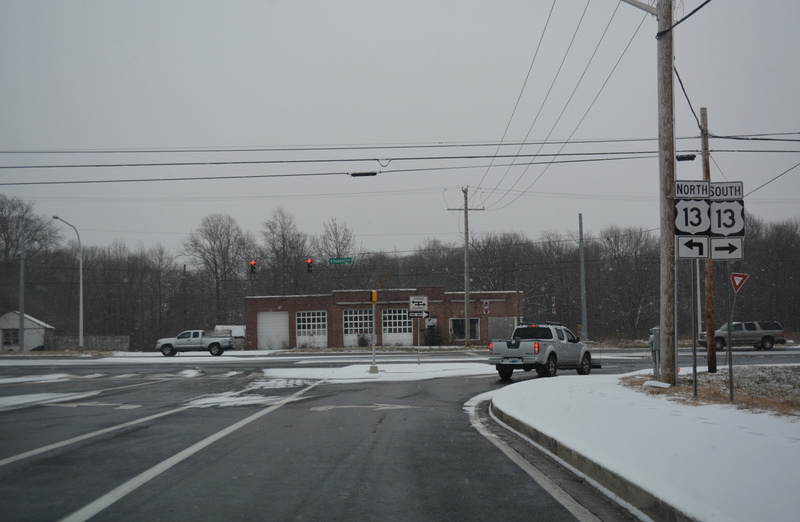 Junction U.S. 13 shield posted on Loockerman Street east ahead of Dupont Highway. Loockerman Street becomes a residential street beyond Dupont Highway through to Delaware 8 (East Division Street). Photo taken 08/05/07. 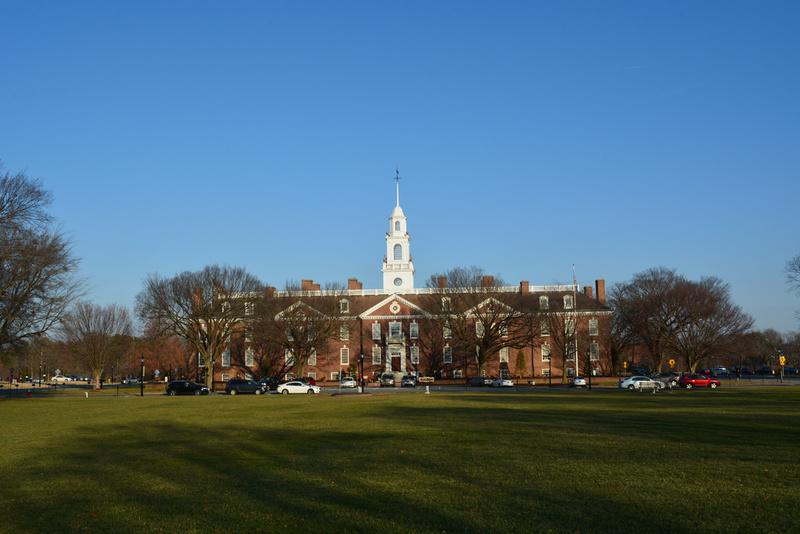 About Legislative Hall. 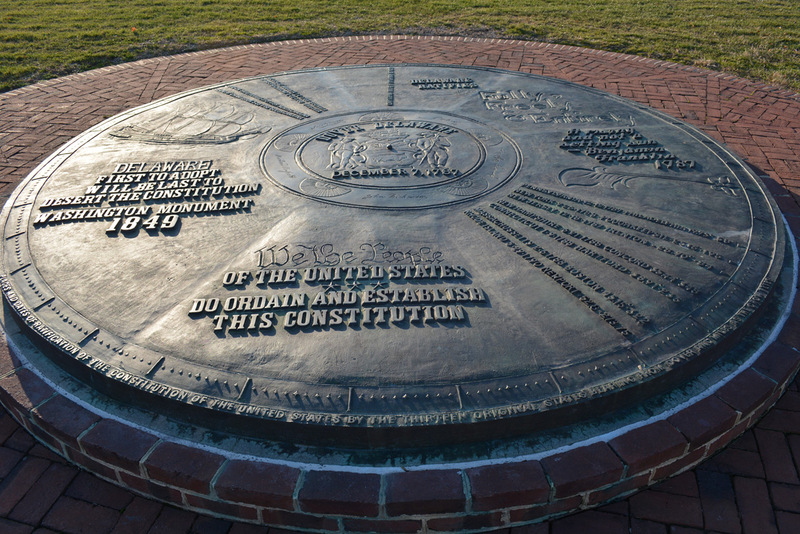 State of Delaware – The Official Website of the First State. 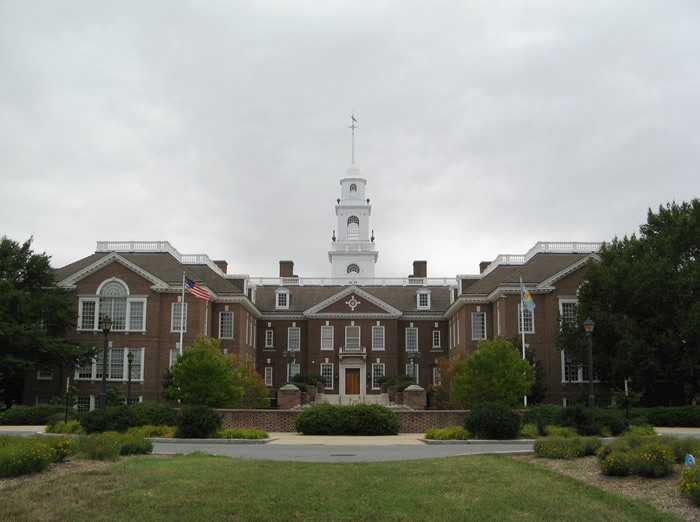 Dover, Delaware History – City Information. http://www.cooperealty.com/Dover_real_estate.php CooperReality Associates web site. This week in Delaware History. Delaware Historical Society. History. Dover Downs Hotel & Casino web site. “Delaware Marks Completion of POW/MIA Parkway in Dover.” State of Delaware news release. September 15, 2017. Page Updated November 29, 2018.